Lakes are one of the most relaxing places that tourists love to explore on their holidays, whether manmade or natural. 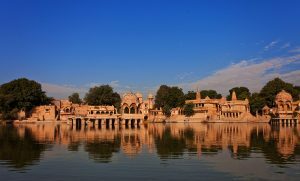 But in the royal state of Rajasthan, the charm of lakes is simply magnetic that provide complete peace to the travelers. The scenic lakes on the golden landscape of Rajasthan are a treat to the eyes. There are number of striking and picturesque lakes in Rajasthan, which include natural and man-made ones. Some of them also offer drinking water supply to the residents of different cities of Rajasthan. There are several popular as well as beautiful lakes that you must pay a visit to when in Rajasthan. Explore them in detail. Encircled by captivating hills, Lake Pichola offers spectacular views of the city. 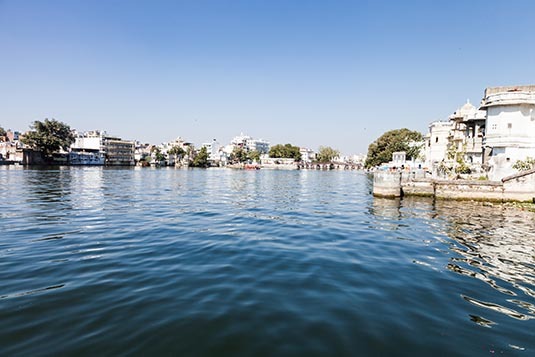 It was widened by Maharaja Udai Singh and later, Maharaja Jagjit Singh added two islands in the middle of the lake, which are now known as Jag Niwas (also called as Lake Palace) and ‘Jag Mandir’. It also has a sandstone dam known as the ‘Badipol’. You can find a large number of marble temples, palaces, mansions and a number of bathing ghats on the banks of this beautiful water body. 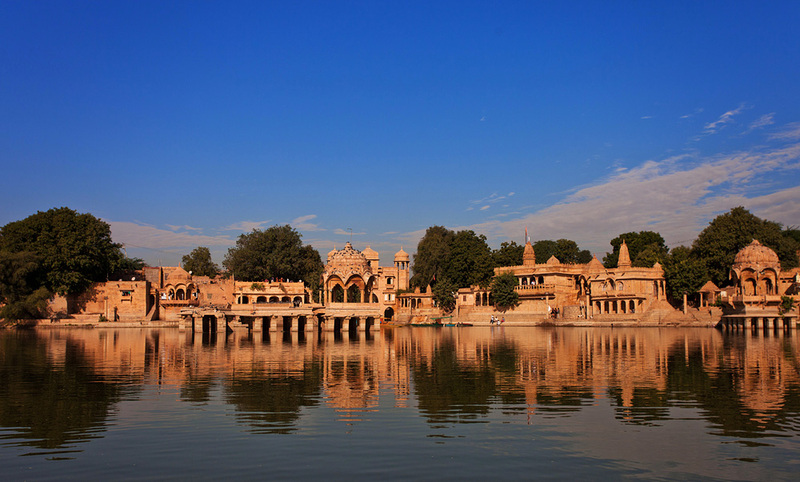 Located in Jaisalmer, Gadsisar Lake is the only source of water supply for the entire city. It was built by “Maharwal Garsisingh”, with an intension to make it a reservoir to conserve rainwater. You may find a number of cenotaphs and small temples on the banks of it. Moreover, if you are lucky you might get a chance to spot few amazing birds around the lake. 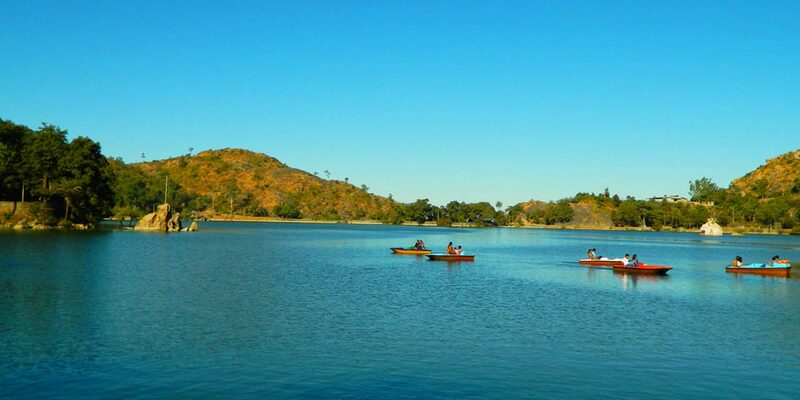 Situated amidst the Aravali ranges, Nakki Lake is another beautiful lake in the Indian state of Rajasthan. The length of the lake is about half mile while width is a quarter mile and 20 to 30 feet deep. Being an important tourist attraction of Mount Abu, it is visited by a number of travelers. The lake offers boating facility to the visitors and enjoys a spectacular surrounding. 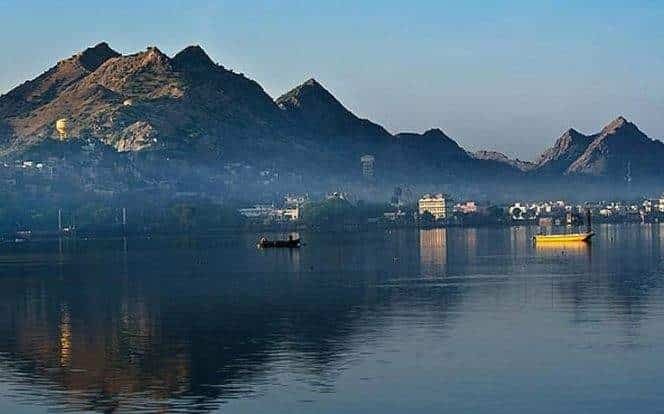 Fateh Sagar is another man-made lake, which was built by Maharana Jai Singh. Afterwards, Maharana Fateh Singh got it reconstructed and thus, named after him only. This scenic lake is located in Udaipur in the north direction of Pichola. The landscape around it will surely take your heart away. 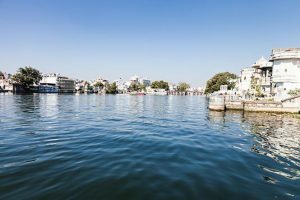 It also serves as a major source of drinking water for the romantic city of Udaipur. Fateh Sagar Lake has three islands, namely the Nehru Park, a solar observatory and a jet fountain. You can take exciting boat rides to these islands. Situated close to the Pushkar town (in the district of Ajmer), Pushkar Lake is also an artificial lake that covers an area of around 5 KM. Encircled by the deserts and hills, it is known for its serene atmosphere all around the year. It is believed to be a sacred among the Hindus, as here is the only to Lord Brahma in the whole world. You may find 52 palaces, a total of 400 temples and 52 ghats, with each ghat waters having special powers. As per legends, it was built in the 12th century with the establishment of the dam across the headwaters of the Luni River. But, as per Hindu mythology, the lake was formed by the lotus petals that from the hands of Lord Brahma. 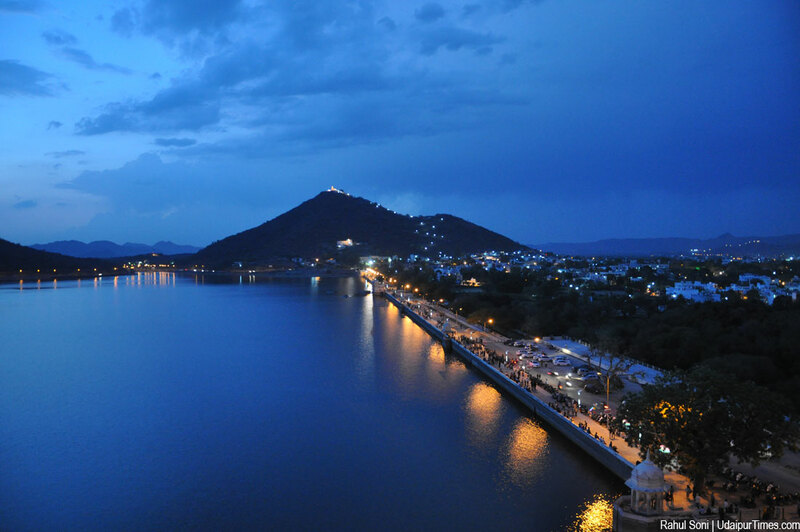 Located in the city of Ajmer, Rajasthan, Ana Sagar is a popular man-made lake. It is named after the great emperor ‘Anaji Chauhan’, who built it in 1135 -1150 AD. Later, some additions were made around it by Mughal emperors Jehangir (Daulat Bagh Gardens) and Shahjahan (Baradari, a marble pavilion), which added a royal as well as beauty to it. Located 5 km away from Jodhpur on Jodhpur-Mandore Road, Balsamand Lake is another popular lake in the state of Rajasthan. It is a famous picnic spot that was built in 1159 AD by Gurjara-Pratihara rulers. The lake was designed as a water reservoir for providing water to Mandore. The length of the lake is 1 km; width is 50 meters and depth is 15 meters. A summer palace is built on the shore of this lake named Balsamand Lake. There are several more wonderful lakes in the stunning state of Rajasthan. With EaseMyTrip flights, you can travel to the nearest airports of these lakes and have a wonderful holiday experience. Abid Traveller who loves to be on roads less traveled and write about it. Nature lover and a hadcore foodie.